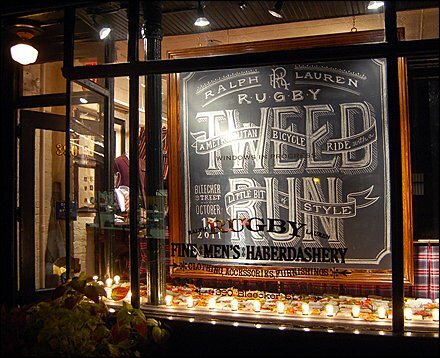 Being a former Calligrapher and Juried Member of the Pennsylvania Guild of Craftsmen, I am a fan of all hand-lettering and typography from Medival to contemporary hand chalked in retail. 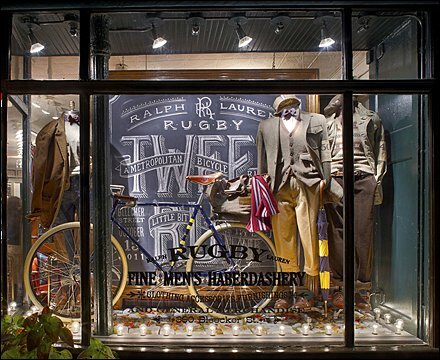 Here Ralph Lauren employs the significant hand-lettering talents of Dana Tanamachi and a bicycle in support of an apparel window. CLICK the thumbnail for a second rendition. Then see see a full range of her work at “Hand Lettered Chalk Typography By Dana Tanamachi” courtesy of the InspirationFeed.